AFDP Global launched in 2018 and builds on the heritage and successful football development projects of the Asian Football Development Project (AFDP), which was established by HRH Prince Ali in 2012 and focused on Asia and the Middle East. In this original form, AFDP had a positive impact in a short amount of time, transforming thousands of lives using football as a catalyst for change. AFDP Global marks a new phase in Prince Ali’s work by using football to improve the lives of children and young people in communities in need across the world. 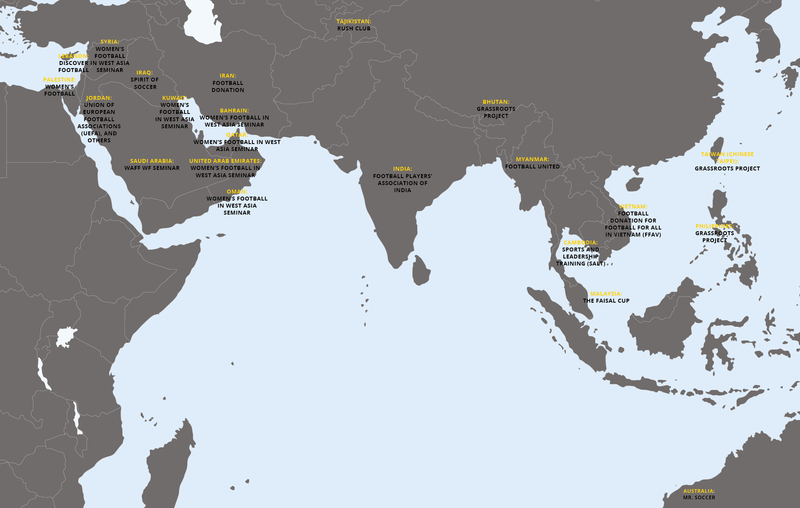 Completed 30 projects reaching 25 countries, spanning a large geographic region. For a fair chance at life, we teamed up with Sports and Leadership Training (SALT) Academy to provide training, housing and educational opportunities for Cambodian girls at risk of human-trafficking. The Mighty Girls programme helped establish professional women’s football in Cambodia. Based on our belief that everyone has the right to play football without facing discrimination, we spearheaded a campaign to lift the ban on wearing headscarves in official matches. Headscarf-wearing women can now play football at the highest level.